Pathios Therapeutics and Sygnature Discovery sign strategic partnership to discover novel GPR65 modulators for the treatment of autoimmune disease and cancer. Pathios Therapeutics, an innovative biotech company focused on the development of first-in-class therapies for autoimmune diseases and immuno-oncology and Sygnature Discovery have announced a strategic partnership to accelerate Pathios’ drug discovery and development programmes. As part of the agreement, Pathios and Sygnature will collaborate on an integrated drug discovery programme against a novel G Protein-Coupled Receptor (GPCR) target. Specifically, Sygnature are providing leading industry expertise in GPCR bioscience and medicinal chemistry to expand Pathios’ current hit-to-lead programme. Sygnature are also deploying cutting-edge computational chemistry, library design and synthesis and medium-throughput screening capability to broaden Pathios’ hit finding. As part of this agreement, Sygnature will receive equity in addition to fees. 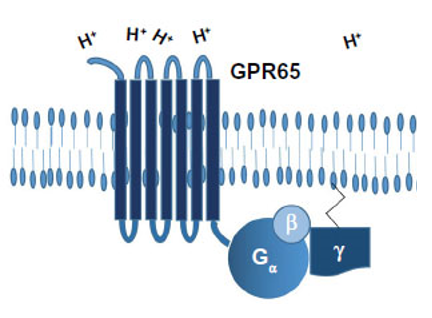 Pathios Therapeutics brings together cutting-edge European science and a leading drug discovery and development team to modulate the activity of GPR65, a pH sensing GPCR. This drug target is characteristic of certain T helper 17 (Th17) cell populations which have been shown to contribute significantly to the pathology of autoimmune conditions, such as ankylosing spondylitis and psoriatic arthritis. In addition, recently published studies have demonstrated GPR65 drives tumour-associated macrophages (TAM) to adopt a phenotype that supports cancer immune evasion.